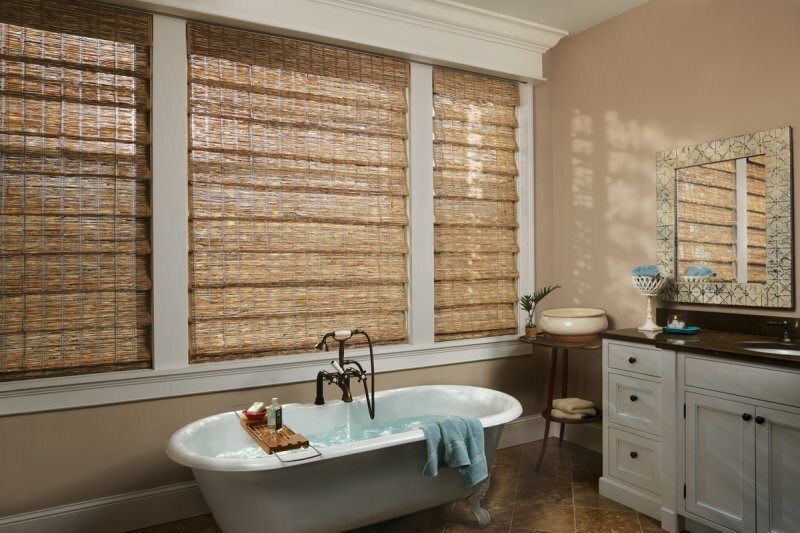 Made from select natural woods, including reeds, bamboos and grasses, Hunter Douglas woven wood shades bring the beauty of nature inside your home. 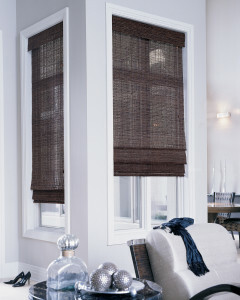 Our selection of woven wood shades are uniquely textured, adding a casual style that goes with most any décor. Woven woods natural shades are a very popular window covering choice, both because of their timeless beauty and because of their environmentally sound characteristics. 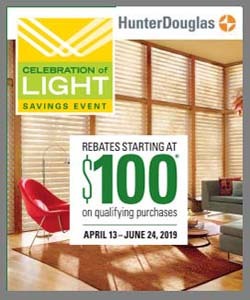 Window Products in Connecticut offers a wide variety of woven wood shades by Hunter Douglas, including the popular Provenance style. Perfect for any window or door, including uniquely shaped openings, Provenance woven wood shades create a style and energy that fits with any décor. Woven woods are an excellent window coverings choice to filter light and protect privacy. They also improve energy efficiency by filtering out UV light to keep your room cooler in the hot months and warmer in the cold months. When lowered, these woven wood shades lie flat. When raised, the woven woods hang in even, overlapping folds, adding a warm, rich dimension to any room. Their appearance is relaxed and inviting, perfectly complemented by total functional reliability. 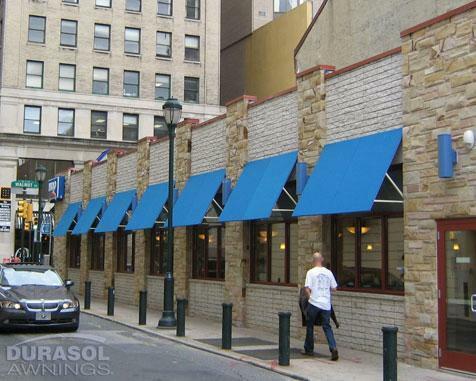 Woven wood shades are available with many operational options. 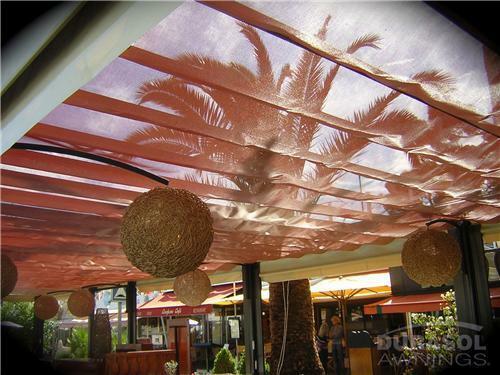 Hunter Douglas woven wood shades can be clutch operated or completely motorized. 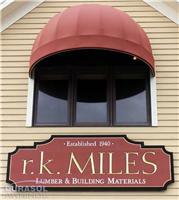 Many customers love the look and function of top-down/bottom-up woven wood shades. Woven woods can also be used for specialty shaped windows or as angle-top shades for slanted ceilings. Edge banding options add yet another opportunity to personalize your Hunter Douglas woven wood shades. 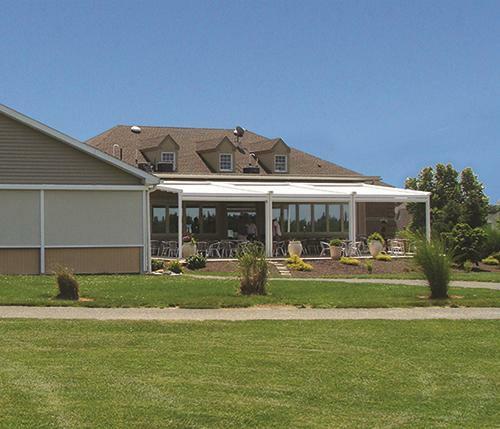 At Window Products, we’ve been serving Connecticut since 1994. 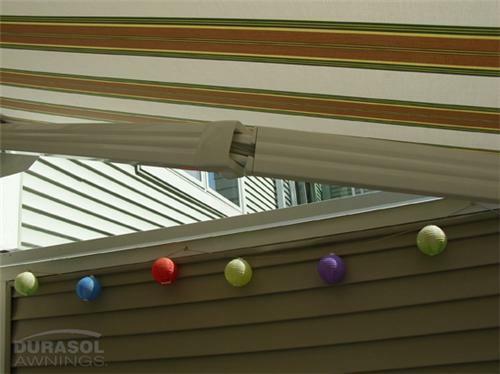 We offer a wide range of woven wood shades, a full line of Hunter Douglas window fashions, and a variety of outdoor awnings. Contact us for more details.